AMD’s upcoming next generation 7nm based graphics architecture codenamed “Navi” has reportedly been spotted in Linux driver code. The all new GPU architecture is officially slated to debut next year, with all whispers indicating a debut in the latter half of the year. The Vega architecture is GFX9. Navi is GFX10, which is what gave this new “Super Secret” chip away. Traditionally, the Linux driver code would be updated using the names of upcoming graphics architectures and that’s usually how the hardware leak scene becomes aware of impending new GPUs. This time however the RTG software team’s use of “Super Secret” appears to be somewhat of a humorous attempt to keep the code name of this particular chip under wraps. That’s right, we’re not talking about the entire Navi architecture, this code is referring to one specific Navi chip. Seeing how the Linux code has to be updated months in advance of Navi’s arrival, they would’ve had no choice but to add it at some point. Had the specific chip code name been included we would’ve had ways to track it across a bunch of online databases it would appear in the future. However, I guess we’ll take what we can get, and that’s all we are going to get right now. 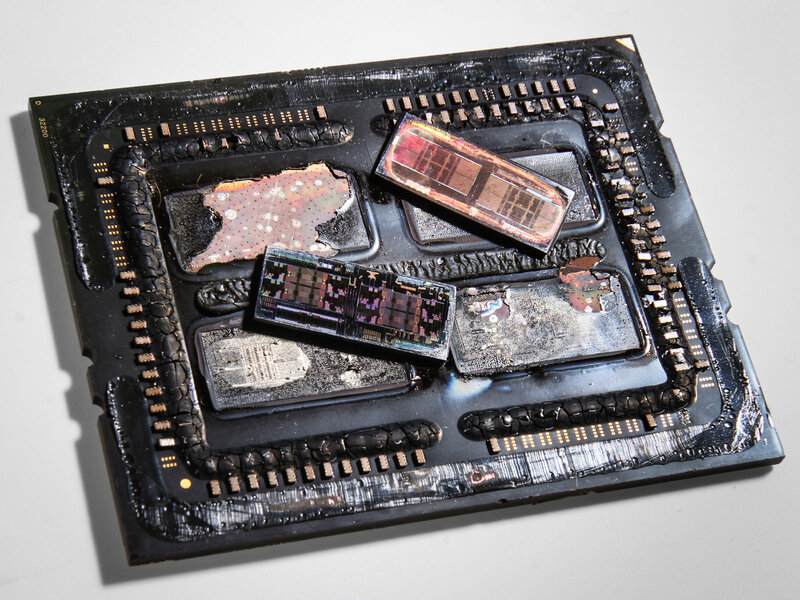 There’s been talk in the industry that Navi could very well be AMD’s first attempt at “gluing” several small, high yielding 7nm GPU dies to make bigger and more powerful graphics chips. This would work similarly to what we’ve already seen the company do using Infinity Fabric to link 4 Zeppelin dies to create 32 core EPYC processors and 2 Zeppelin dies to create the ever popular Threadripper chips. Leveraging the same Infinity Fabric advantage on the GPU side would allow the company to launch Navi sooner, improve yields, clock speeds and reduce its overall cost structure. We’ve seen some evidence that NVIDIA is also pursuing similar multi-chip-module technologies and are currently conducting feasibility studies. Although this would take several generations to materialize from a proof of concept to an actual product. 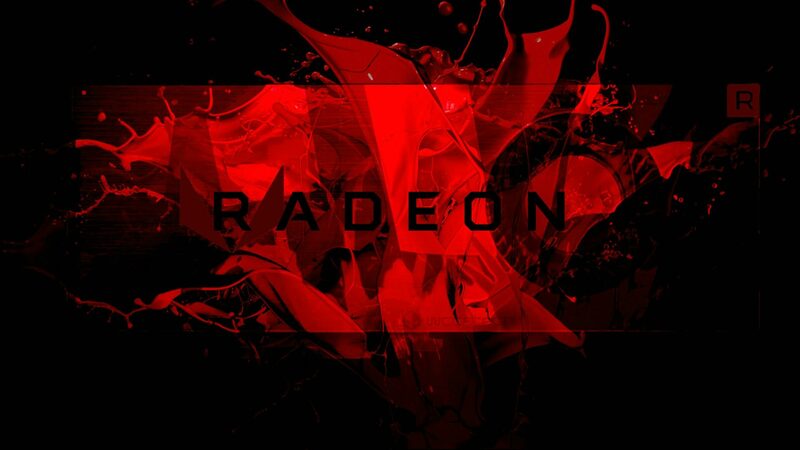 AMD, on the other hand, has already launched products using the technology. 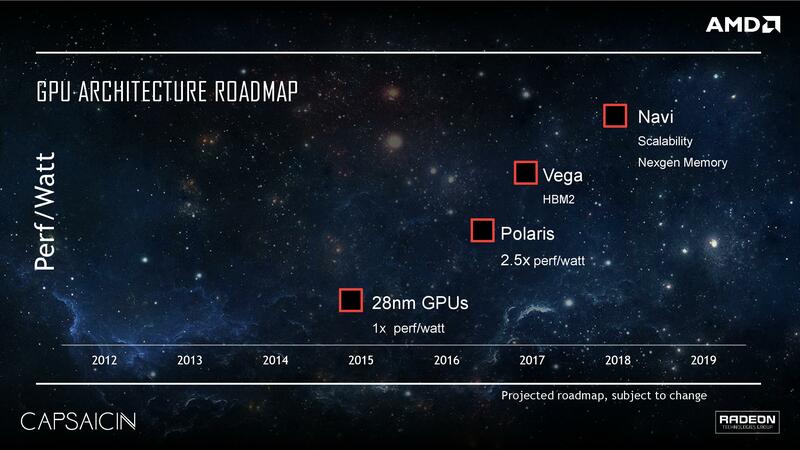 The next step would be to transfer that expertise to the GPU side of the company, something that we believe the company has started to work on with Vega, which is the first GPU architecture to support the “wonder glue” technology, Infinity Fabric. We’ve already explored how all of this would work in a report published by our own Usman Pirzada back in October that I’d highly recommend you check out. 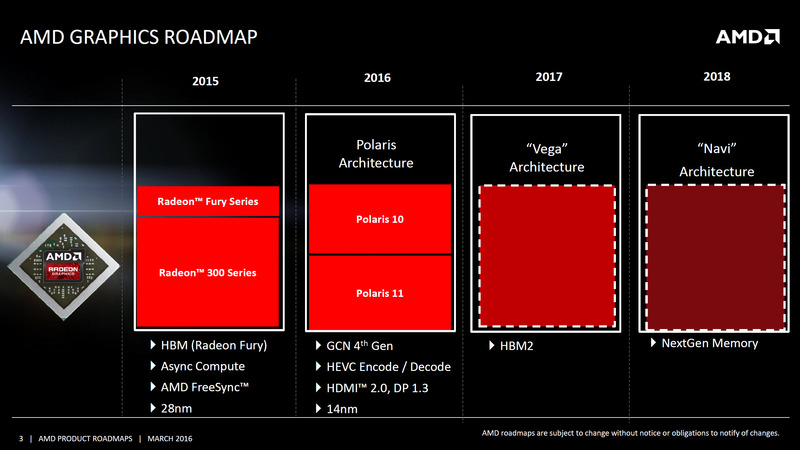 This would explain AMD’s use of the term “scalability” as a brand new feature that’s due with Navi. The fact that Infinity Fabric would enable it to utilize a single Navi GPU die that effectively scales and can be used to cover all markets top to bottom. On the memory side, “nextgen” could refer to either HBM3 or GDDR6. Whether some Navi parts will make use of HBM3 while others GDDR6 is subject to speculation at this point. What’s not up for conjecture however is the fact that we know, thanks to one credible leak, that the company has been working on a GDDR6 memory interface that we have very little doubt will make it into Navi. Navi is said to land in the second half of 2018, with some talk about a late summer debut. Although with 7nm being such a wild card, nothing is really set in stone. NVIDIA’s upcoming 12nm based Volta based GeForce lineup is setting up to land in the first half of next year. We also have second generation Ryzen Pinnacle Ridge parts coming out early next year and Intel’s impending 8 core 9700K in the summer. All in all, 2018 is definitely shaping up to be one enormously exciting year for hardware. Core Family Coffee Lake 8th Gen Coffee Lake Refresh 9th Gen? Coffee Lake 8th Gen Coffee Lake Refresh 9th Gen?